Removable fold out, color coded pockets with clear vinyl window. An ABS molded plastic liner provides protection to contents and is designed to accommodate a "C", "D", or Jumbo D O2 cylinder. The removable shoulder harness allows you to use it as a back pack for hands free carrying. basic trauma, etc. Shoulder strap is included. Measures 22" x 12" x 7". 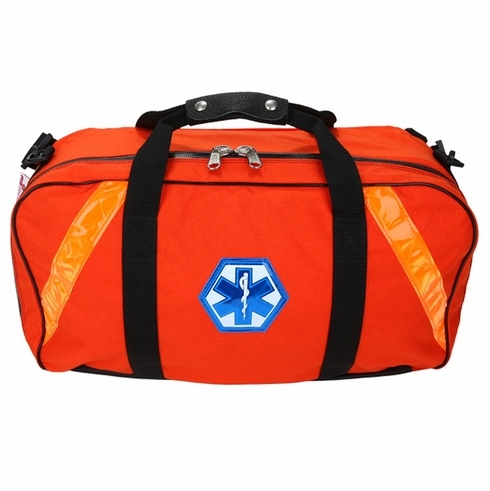 Made of Cordura® nylon with 3MTM ScotchliteTM Reflective Material trim and a Star of Life.